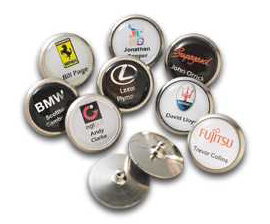 With a choice of six different styles of golf ball marker, we can produce a personalised golf marker to suit your needs. 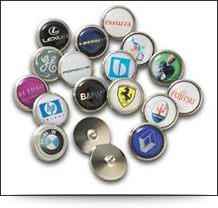 We currently produce a range of different golf ball markers for corporate clients - for golf events and golf giveaways - as well as golf clubs and retail outlets for branded golf products. 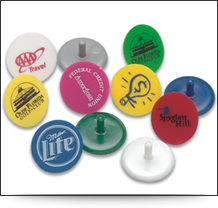 Our durable, plastic golf ball markers are available in two sizes. 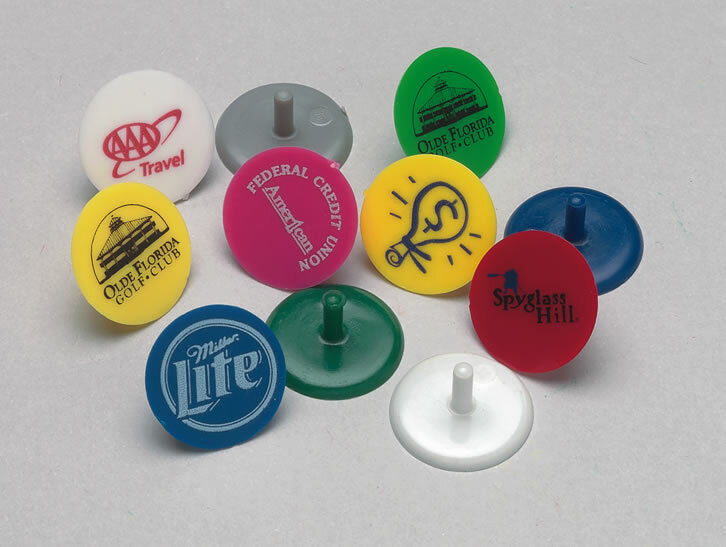 These golf markers will carry your branding for round after round. 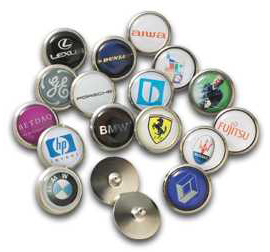 Plastic golf ball marker range is available in all our standard colours, printing is available in either one or two colours (Pantone-matched) for your message or company logo. 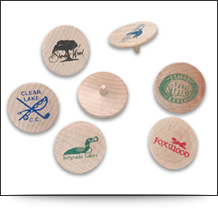 Made from renewable birch and available in two sizes, these personalised, wooden golf ball markers lend an element of style to any round of golf. Printing is available in either one or two colours along with your message or company logo. 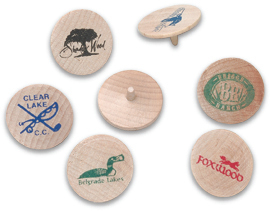 Our top of the range golf ball markers. The chrome base and rounded sides give a clean, modern style for a really contemporary feel. The clear resin 'gem' has a vivid appeal that will bring every company logo or club crest to life. Why not add a player's name to your logo on your company golf day? 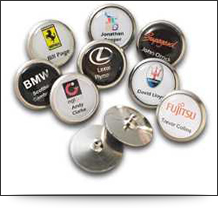 Personalisation encourages a player to keep your branded ball marker, making this golf ball marker the perfect corporate golf gift. Our speedy printing process means that we can add additional players names up to five days before your planned golf event.